Jack Moran passed away peacefully, comforted by loved ones, just shy of his 93rd birthday. Jack is survived by his loving wife and long time companion, Diana Eyden. Jack is remembered and loved by several individuals who he took under his wing as youngsters, acting as a second father, role model and mentor. Now grown men with families of their own, this extended family shares the grief of his passing. Jack was born and raised in Chilliwack, B.C. with his parents John and Catherine Moran. He is pre-deceased by his brother Frank Moran, his sister Kathleen, his niece Gail, and his first wife Patricia Moran. As a young man, Jack enlisted in the Canadian Army and served his country with pride overseas. Upon returning home, Jack set forth building a career using his talent in mechanics and the trades. Jack had a key role in the construction of many main roadways throughout the Province of British Columbia. Settling in Kamloops, B.C., Jack enjoyed a long career as the Mechanical Superintendent with the B.C. Forest Service. Jack enjoyed many hobbies and interests, most significantly was his love for animals. 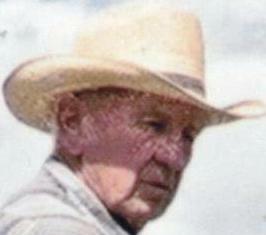 Jack enjoyed raising and riding horses and loved the ranching lifestyle. Along with Diana, Jack continued to enjoy and care for many animals into his later years. Jack was an extremely skilled handyman and gardener and always busied his days with many projects. Known for his strong mind and will, Jack was equally loved for his gentle, caring and compassionate ways. I considered Jack to be one of the finest and most upstanding people I ever had the pleasure of knowing as a very good friend. During our many years together in the Forest Service I was very proud to have him as my Boss! Our Son Justin called him “Grandpa Jack”. He was a very special man – one in a million! Diana, we are sorry to hear of Jack’s passing, please accept our condolences. We just recently found out about Uncle Jack’s passing. We are very saddened. He was a wonderful man and I enjoyed many happy times with him at the ranch and jointly with Gail. We will be thinking of you in your loss and our condolences to you, Diana.